“Who knows why God allows heartbreak, but the answer must be important enough because God allows his His heart to break too,” Ann Voskamp, The Broken Way. A few months after my Compassion trip in 2010 to Kenya shattered my heart and led our family to start Mercy House Global, Ann Voskamp took an identical trip to the Guatemala City dump. Our friendship was forged in our personal kind of brokenness: Broken for the human suffering we witnessed, broken for our own spiritual poverty, broken because we saw God’s broken heart for His people. We connected in our brokenness. We stumbled through those messy months after our trips and responded in our own ways. (And I’m sure you know Ann continues to change the world in the most stunning response). In 2013, (in)courage, the Dayspring writing group we were both apart of, set a lofty goal to help Mercy House fund six big projects–from a generator, to a van to raising the final $50,000 towards owning our first rescue home. As each phase was funded, it led us to the final stage of raising money for a safe house, led by Ann. That home has now held more than 43 pregnant teens. Ann, along with countless others, have quietly and faithfully given and prayed for Mercy House so that we now oversee three rescue centers and seven artisan groups in Kenya, and provide thousands and thousands of dignified jobs through Fair Trade Friday in 28 other countries. The broken way led us to today. Brokenness is the fertile ground of holy ground. It is the soil in which miracles grow. Broken is the only road I know. It’s messy and hard. Honestly, it’s gut-wrenching to meet three new rescued girls this week from dark and scary places and believe God for their miracles. And although I can’t really explain it, I know that loving broken people has made me whole. This year, we are transitioning nearly a dozen teen moms who have graduated from our programs back with a family member or into our transition home. 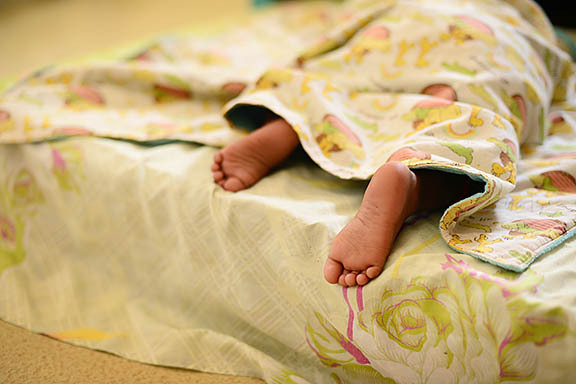 Today, we added 75 openings to our Mercy House Global Mother and Child Sponsorship program. These young moms have shocking stories of brokenness, but one-by-one God has done the impossible and made something beautiful from the ashes of their pasts. And there are precious babies who need sponsors today (including a really cute one named Kristen). Jesus goes where there is brokenness. He is the center of Mercy House and the center of my life because we know broken. Would you consider exchanging letters and supporting these moms and their children for $21 a month? Let the broken way lead you to wholeness today. If you think life is not full of brokeness, you are certainly missing Jesus in the midst of it all….